The plan makes several tweaks and adds more than $750 million in net spending to the current $43.7 billion two-year state budget that was adopted last summer. 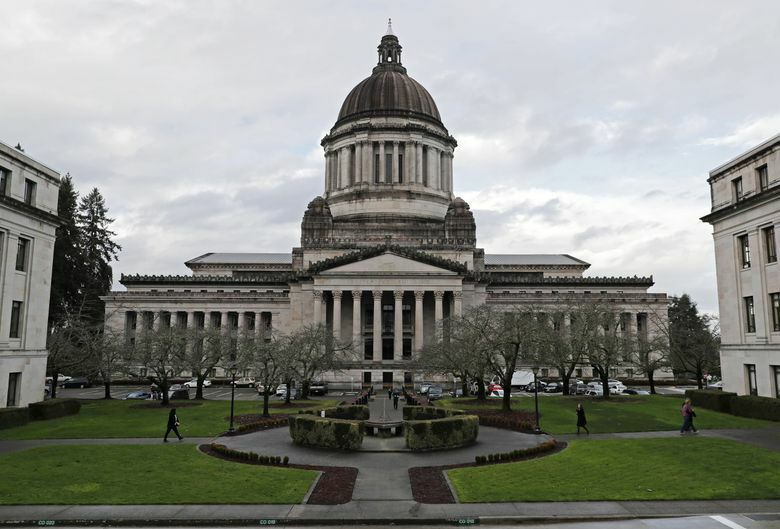 OLYMPIA — The Washington Legislature sent Gov. Jay Inslee a supplemental state budget Thursday that puts more money toward teacher salaries, a final step in a multiyear process to bring Washington into compliance with a state Supreme Court mandate on education. The Senate passed the plan with a 25-24 vote shortly after the House passed it 54-44 on the last day of the 60-day legislative session. While the main focus is on education funding, the budget also allocates additional money for mental health, health care and higher education, among other areas. The overall plan also provides a one-time property tax cut next year. The budget includes no new taxes and leaves $2.4 billion in total reserves at the end of the current two-year cycle. Republican Sen. Joe Fain decried the lack of Republican involvement in the budget negotiations and encouraged bipartisanship in the future. Democrats hold narrow majorities in both chambers. “I am just praying and hoping and asking that we return to the bipartisan progress that we’ve made in this state over the last few years,” he said. Lawmakers are working to expedite the timeline on fully funding teacher salaries as they try to satisfy a 2012 ruling that found that K-12 school funding was not adequate. The state has been in contempt of court since 2014 for lack of progress on that ruling. In November, the court said a plan passed by the Legislature last year satisfied its earlier ruling, but justices took issue with the fact that the salary component wasn’t fully funded until September 2019. The supplemental budget speeds up that time frame to this year. “It invests in critical areas across the state, at the same time we provide property tax relief for our citizens,” he said, while leaving adequate reserves for a possible downturn in the economy. The property tax cut offered this year is meant to offset the increase homeowners have seen following an 81-cent increase to the statewide property tax that lawmakers approved last year that raised the tax to $2.70 per $1,000 of assessed value. Under that $391 million property tax cut plan — a separate budget bill that cleared the Senate on Wednesday and awaits a vote in the House on Thursday — homeowners would see a one-time 30-cent cut to statewide property taxes in 2019, with the rate dropping from $2.70 per $1,000 of assessed value to $2.40. Under that plan, $935 million of property tax revenues would be diverted to a specified education account instead of going to the constitutionally protected “rainy day” surplus fund. That money will be put toward teacher salaries and other K-12 investments. Republican Rep. Drew MacEwen said there were things in the budget that he liked, including money toward addressing opioid addiction, but he was voting no because of concerns about the increase in overall spending as well as the diversion of money from the rainy day fund. The plan makes several tweaks and adds more than $750 million in net spending to the current $43.7 billion two-year state budget that was adopted last summer. While the main focus in on education funding, the budget also allocates additional money into funding mental health, health care, and higher education, among other areas.